A richly detailed, darkly hilarious novel of a family held together and torn apart by its narcissistic matriarch To those in her Cape Cod town, Mother is an exemplar of piety, frugality, and hard work. To her husband and seven children, she is the selfish, petty tyrant of Mother Land. She excels at playing her offspring against each other. Her favorite, Angela, died in childbirth; only Angela really understands her, she tells the others. The others include the officious lawyer, Fred; the uproarious professor, Floyd; a pair of inseparable sisters whose devotion to Mother has consumed their lives; and JP, the narrator, a successful writer whose work she disparages. As she lives well past the age of 100, her brood struggles with and among themselves to shed her viselike hold on them. Mother Land is a piercing portrait of how a parent's narcissism impacts a family. 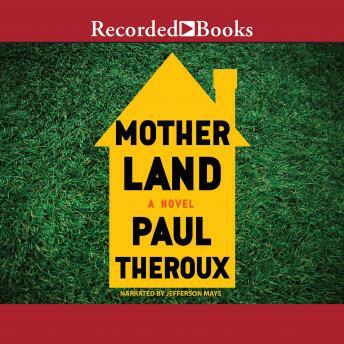 While the particulars of this tale are unique, Theroux encapsulates with acute clarity and wisdom a circumstance that is familiar to legions of readers. And beyond offering the shock and comfort of recognition, Mother Land presents for everyone an engrossing, heartbreaking, and often funny saga of a vast family that bickers, colludes, connives, and ultimately overcomes the painful ties that bind them.